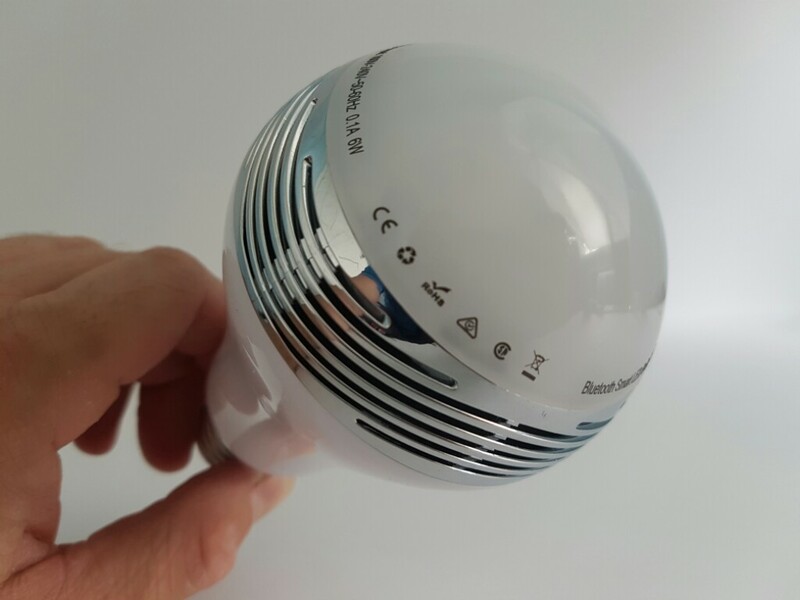 A smart LED bulb that has a speaker inside… Who doesn’t want one? 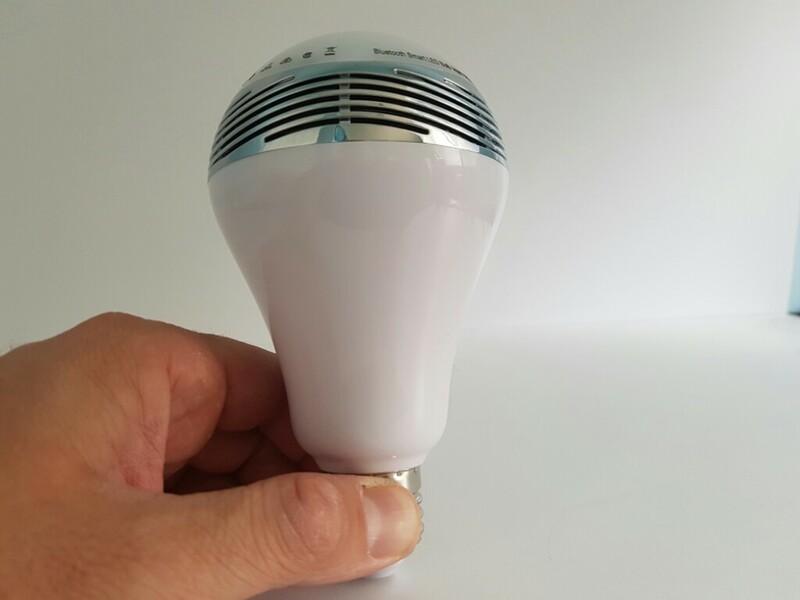 This is the BL-05 Bluetooth LED Bulb with a speaker inside. The idea is pretty cool and something like this could be very entertaining for many people. First of all you need a tablet or a phone with bluetooth in order to use this light bulb. As soon as it’s connected it is very simple to use. 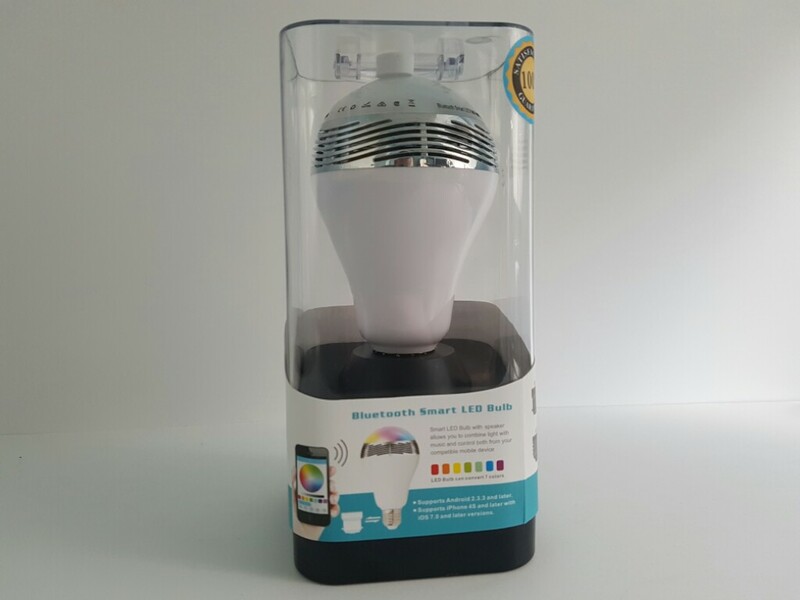 You can change the colour to any colour you wish and also make the light dimmer or brighter. It looks like any other light bulb, however it is made out of plastic and it has some holes in the middle. It should fit most lamps, even though it’s a bit bigger than your standard light bulb. The speaker is not that loud and it get a bit distorted at maximum volume.